Lamar Hunt US Open Cup Qualifying - Dulles Sportsplex Aegean Hawks FC took on the Maryland Bays of the Maryland Major Soccer League in the Lamar Hunt US Open Cup Open Division qualifying and won in OT 2-1. Saturday 1st Division - LESA FC United continued their hot start to the Fall 2015 campaign with another solid win; Cavaliers rebound in week 2 and hand World Bank/City FC their second loss. Sunday Premier Division – Week #5 left only one team undefeated and top of the table (ASA Reds) after Fighting BOBs goes down. Over the entire east coast this weekend, 20 teams played single elimination fixtures in the 1st round of Open Division qualifying for the Lamar Hunt US Open Cup. The tournament is similar to the FA Cup and allows amateur teams (those who play in affiliated leagues like the WPL), the opportunity to play against professional teams in open competition. This year US Soccer took over management of the tournament for the qualifying rounds. In the past USASA ran the qualifying tournaments by pitting state champions in regional play and having each pair of regional finalists qualify for the Lamar Hunt US Open Cup 1st round. The WPL's very own Dulles Sportsplex Aegean Hawks FC, 3-time qualifiers under the old USASA qualifying format (2007, 2009, 2012), hosted the Maryland Bays of the Maryland Major Soccer League on Sunday Oct 18th at the Maryland Soccerplex, Field #14 with a 2:30 PM Kickoff. These two premier USASA teams had faced each other 8 times since 2011, with the Bays winning 5 and the Hawks winning 3. 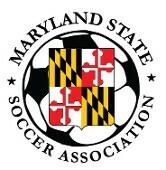 In their last meeting on April 1st of 2015, the Hawks dethroned the Bays from their 2014 USASA National Open title in the MD Open Cup championship match by a score of 1-0. Dulles Sportsplex Aegean Hawks FC advance to the 2nd Round of Lamar Hunt US Open Cup Open Division Qualifying by defeating the Maryland Bays of the Maryland Major Soccer League 2-1 in AET. Former Georgetown Hoya Scott Larrabee scored the winner with 5 minutes left in the 2nd OT period off a nice cross from the endline by Hawks vet Michael Goldman. The Hawks fell behind in the 55th minute on a PK by Bays forward Kingsley Onwuka (UMBC). Hawks team captain and former Bucknell Bison Patrick Selwood equalized with seconds left in stoppage time with a header in traffic to give the Hawks a lifeline and force OT. The Hawks advance to play an away fixture against Aroma's Cafe FC of Charlottsville, VA on weekend of November 14-15th. The Cavaliers picked up their first win of the season in a hard fought match against World Bank/City FC who were trying to shake off a rough start last week versus 1st division front-runners, LESA FC United. Lucas Higdon started the scoring for the Cavaliers early in the half, but City FC fired back with Spencer Gottlieb firing one home off a break-away assist by Craig Johnson. City's Yaw Temeng added another to give City FC the 2-1 lead at halftime. The Cavaliers responded well in the second stanza with Lucas Higdon again finding the net to equalize. In the 75th minute, the Cavaliers’ Ben Beadle-Rydy notched the game winner and the Cavaliers were able to ride out the lead until the final whistle. LESA FC United continued their perfect start to the Fall 2015 WPL First Division season in a offensive explosion vs longtime WPL side, ABGC La U. Forward Eriel Genevro provided a hat trick with Lucas Camargo and two other LESA FC United players rounding out the scoring. LESA looks like the team to beat in the promotion race for Sunday. They will next meet up with Duke Vikings FC to determine who can continue the perfect start to the season. In the first Premier division match of the weekend, reigning two-time WPL titleholders took on Washington Elite at Long Bridge Park. Yinz was looking to rebound from a tight loss to current league leaders ASA Reds in Week 3, and Washington Elite was looking to rebound from their own last outing vs Soccerdome/ICC. In a tight match, Yinz was able to take all three points when forward Andy Coulson was put into goal on a through ball for a one vs one vs the Washington Elite keeper five minutes into second half. Coulson touched it past the keeper’s left to finish what turned out to be the only goal of the game. What a difference a week off makes. Week 4 leaders Fighting BOBs who started perfect in their first three games, came up against a determined Kamikaze Crew side searching for their first points of the season in the early match out at Fairfax High School. Two early goals from the dynamic Georgetown alum Andy Riemer (assists by Miq Umar & Ben Stephan) saw the Crew lead, but Fighting BOBS pulled one back to keep the game on a knife’s edge. In the second half Andy Riemer turned provider for the returning Kjell Crooke and Ben Stephan to cap a man of the match performance. In a matchup at undefeated ASA Reds Witter Field, Capital City came to the match looking to rebound from their narrow loss to the Dulles Sportsplex Aegean Hawks the week prior. ASA Reds, on a bye last week, had no subs and the game started with Cap City pressuring Reds hard. In the 10th minute, a Cap City striker Ryan Kirkland had a goal called back on controversial off side call. The game remained even until the 39th, when a clearance by the Cap City left back found Reds midfielder Jordan Cyrus 40 yards from goal. Cyrus took a couple touches and swerved a wicked blast that eluded the shielded Cap City goalie. In the 2nd half Reds, playing with no subs the whole match, tucked in and defended with 10 behind the ball as Cap City continued the pressure. Cap City had another goal called back (3rd of the game) by the linesman flag as well as a missed one vs one with the Reds goalie. A tired Reds rejoiced at the final whistle as Cap City were left to rue the many missed opportunities to share the points. It is not the way a team wants to earn their first three points of the season, but Finito FC was unable to field a team for their Sunday Premier division fixture this week, granting Fados Irish Pub/Conquistadores the forfeit W. Our schedule is week-week to try to avoid these scenarios from ever happening, but if teams do not provide a heads up prior to the start of the season that they will need certain weekends off, a forfeit remains a possibility. It has been over a couple seasons since we had a forfeit, and let’s hope that this is the last one the WPL sees in quite a while.